On Sunday a fire destroyed the pregnancy resource center in west Little Rock. The center was located across the street from Arkansas’ last surgical abortion center. Watch the video below to learn more. 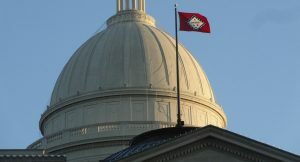 Yesterday we wrote about a proposal at the Arkansas Legislature to tax passive income of churches. The proposal was among those up for consideration at the legislature’s Tax Reform and Relief Legislative Task Force. Under Arkansas law, income churches receive from things like interest earned on savings accounts or from the sale or rental of church property is not subject to the state income tax. The proposal before the task force would eliminate this exemption. Sen. Jim Hendren (R — Gravette) is the senate chairman of the task force. I spoke with Sen. Hendren this morning, and he has assured me the task force has no interest in eliminating churches’ passive income tax exemption. 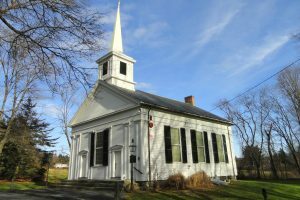 I am deeply grateful to everyone who contacted their state legislators yesterday to express their concern about this proposal, and I hope our elected officials will continue working to ensure taxes are not increased on churches and charities.